The most basic of USA facts relate to its structure as the world’s oldest surviving federation. The nation is made up of 50 states, along with the federal district of Washington D.C.. This district, which includes the capital city, is located between Maryland and Virginia, but does not legally belong to either one, functioning as its own separate entity. Washington aside, the federation is organized into states, 48 of which are located on the continent of North America, between Canada in the north and Mexico in the south. The two remaining states are not physically connected to any of the other 48. These are Alaska in the north west, and Hawaii, a group of islands in the central Pacific. The USA is a republic, and began life as 13 British colonies along the Atlantic coast. Independence was declared on July 4 1776, during what would eventually become a successful war against Britain. The constitution of the USA was adopted in 1787, and the first 10 amendments, called the Bill of Rights, came into being in 1791. Nowadays, the USA has a population of over 300 million people. 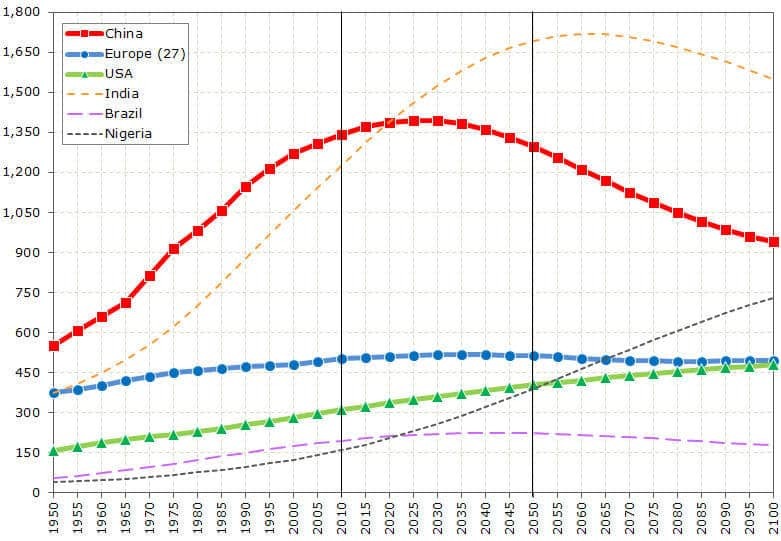 One of the many little-known USA facts is that although this is a vast number, it is not the largest population in the world − both China and India have higher numbers of people. If you asked most people for USA facts, they would probably remember that Christopher Columbus discovered the Americas. It’s true that he stumbled upon the continent in 1492, on a Spanish expedition which aimed to discover new trade routes, and had actually intended to reach Japan. Although Norse settlers had come across the Americas in the 11th century, Columbus’ expedition began the major European colonization of the continent. The Spanish were the first to begin settling across North and South America, but other European powers soon followed, including England, France and the Dutch Republic. Before European colonization, the continent had already been populated by indigenous peoples for over 15,000 years. Paleo-Indians from Eurasia migrated to the continent in the period 16,500 BCE – 13,500 BCE. Scientists believe that they did this by crossing a land bridge which existed at that time in the Bering Strait, between modern day Siberia and Alaska. Over thousands of years, these indigenous people spread across the Americas. Some developed agriculture and organized societal structure, for example the pre-Columbian culture surrounding the Mississippi river. Colonization was extremely harmful for many such societies, who were violently assaulted by European diseases and military attacks, along with food shortages. The terrible cost to lives and culture which colonization brought to the Native American population remains one of the most tragic of USA facts. There are many important USA facts relating to the early years of colonization, as it was a truly dramatic moment in history! 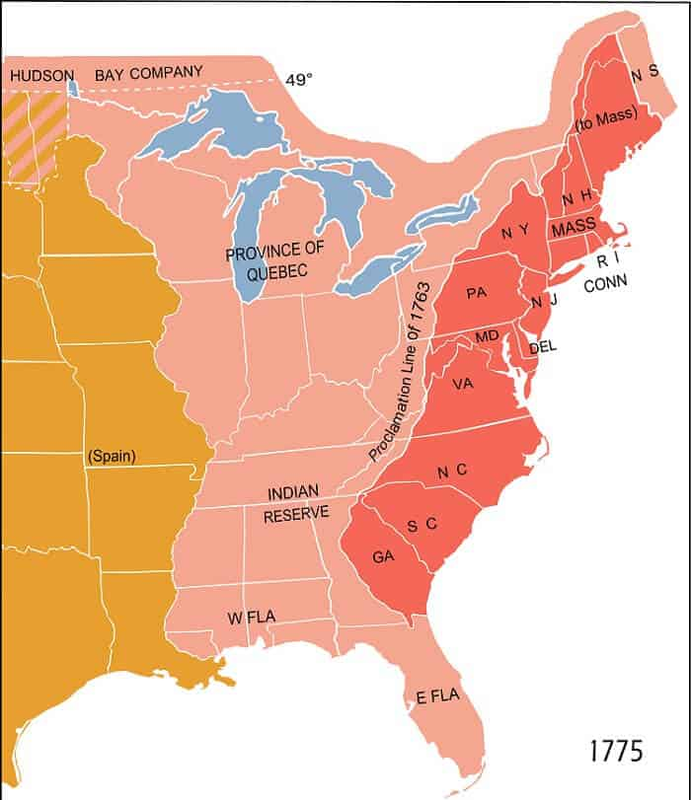 Between 1607 and 1733, the British founded 13 colonies on the Atlantic coast of North America. These colonies were New Jersey, New York, Massachusetts Bay, Pennsylvania, Delaware, Maryland, North Carolina, South Carolina, Connecticut, New Hampshire, Rhode Island and Providence Plantations, and Virginia. They were all self-governed using similar legal methods, and each represented growing, prosperous economies based on agriculture. Unlike Britain, these colonies did not have a landed aristocracy or their own monarchy, and a higher percentage of people could vote than in England. Many came to see the new American society as more democratic than Britain, and resented the control of the British Parliament. Tax became a particularly divisive issue, and the phrase “no taxation without representation” indicated a desire for greater fairness. These issues would eventually develop into the War of Independence, which the Americans successfully won. One of the most famous of all USA facts is that George Washington, the Commander-in-chief of the continental army during the war, became the first president of the United States of America in 1789. He is the only president ever to have received 100% of the electoral vote. During the next century, aggressive western expansion led to deadly wars and brutal violence being committed against the Native Americans. As a result of this policy, often led by the notion of “manifest destiny” − the belief that the Americans were destined to conquer the entire continent − the USA gained many new states. In the 19th century, divisions were emerging between states on a broad range of issues including the economy, slavery and the ability of states to govern themselves. This led to the American Civil War of 1861-5, which was fought between northern and southern states. The north, led by Abraham Lincoln, eventually triumphed. The war brought about many changes − one of the most important USA facts regarding the end of the Civil War is that slavery was abolished after this time. There are many important USA facts relating to the continent of North America itself and its geography. The contiguous states of America have a combined area of 2,959,064 square miles. This land is host to a vast array of geographical features, from arid deserts and flat, windy prairies to great lakes and rivers. The USA also boasts some of the world’s most recognizable and breathtaking mountain ranges, including the Rockies, the Appalachians and the Sierra Nevada range. Notable wildlife which we think of as typical to various areas of the USA and its waters include bears, eagles, raccoons, alligators, sharks, deer, snakes and mountain lions. Because of its history of immigration and colonization, the USA has a very diverse population. 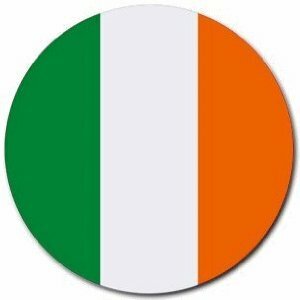 White Americans are the largest racial group, and their ancestors were mainly German, English and Irish. The second largest group are Black Americans, many of whom are descended from African individuals who were brought to North America during the slave trade. 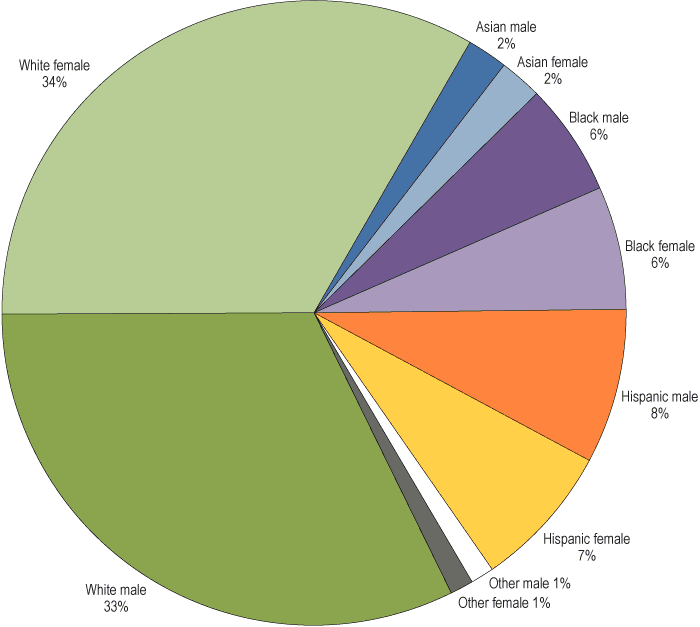 The population of the USA is also made up of many more ethnic groups, including Mexican and Latino Americans, Native Americans and Asian Americans. The majority religion in the USA is Christianity. Many of the earliest settlers in the USA were fleeing some kind of religious persecution in Europe, or hoping for greater freedom for their Protestant views. However, when it comes to USA facts about religion, it must be mentioned that the First Amendment guarantees the freedom to exercise religion. This has allowed many kinds of spiritual practices to flourish in the USA, including all the major world religions and many smaller movements, such as Wiccan and Jedi. No collection of USA facts would be complete without a mention of the wildlife in North America, which includes over 400 species of mammal, and many more kinds of birds, amphibians and reptiles. One of the most magnificent animals in North America is the black bear. However, the name is a little inaccurate – black bears can be various shades of black, brown and white. There are many fascinating USA facts about these incredible creatures. There are thought to be over 5 million alligators spread out across the south-eastern states of the USA, with 1.25 million in Florida alone! Alligators are the largest reptile found on the North American continent. They live mainly on fish, turtles, birds, snakes, frogs and small mammals. Astonishingly, American alligators have been observed luring birds by using tools − they balance sticks and other nesting materials on their heads! Here comes one of the most astonishing USA facts − this Death Valley recording was also the highest recorded temperature ever in the world! Because the USA is so vast, it is unsurprising that it contains such a diversity of climates. Much of the south-western coast, California in particular, has a Mediterranean climate, while humid and even tropical climates can be found in the south. In the north, states such as Oregon and Washington have oceanic climates, and the Midwest is known for is mixture of weather systems. The USA experiences some very extreme weather conditions, such as hurricanes and tornados, which can be dangerous to both property and lives. 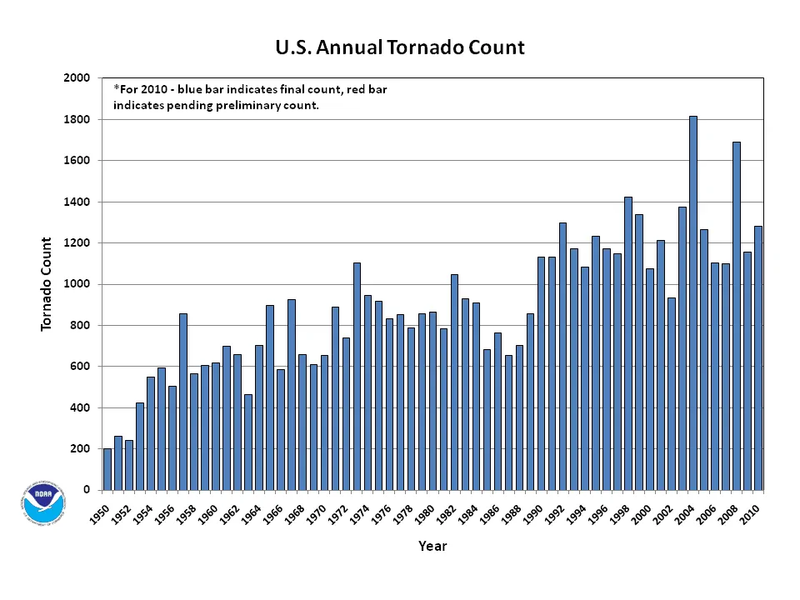 USA facts regarding these extreme weather occurrences suggest that every year around 1000 tornadoes hit North America, more than anywhere else in the world. Tornadoes are particularly common in Nebraska, South Dakota, Oklahoma, Texas and Kansas. The area in which these states are located has come to be known as Tornado Alley. We all recognize the American national flag, but there are fascinating USA facts about how it came into being that you might not be aware of. The flag, known as the stars and stripes, old glory or the star-spangled banner, began life as an variation on the British flag, with 13 white stripes added to symbolize the 13 colonies. On June 14 1777, a Flag Resolution was passed which added the blue field, upon which a white star would be placed for each state in the union. However, gradually, new stars had to be added, as many more states joined. 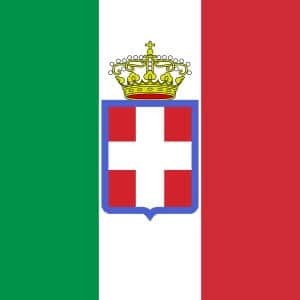 The number of stripes was also raised for a while, until in 1795 it was decided that the flag would remain with 13 stripes to represent the original colonies. The current version of the flag has been in use for 54 years, since Hawaii became the 50th state in the union, and the 50th star on the flag. We think of Thanksgiving as primarily an American holiday. But actually, Thanksgiving belongs not just on a USA facts sheet, but on European ones too, since the holiday originated in practices celebrated there. Modern Thanksgiving is held on the fourth Thursday of November. The holiday can be traced back to harvest festivals held earlier in the year, and it was the English Reformation which played a part in the creation of Thanksgiving. When Henry VIII became the head of the Church of England, holidays were one aspect of culture that changed. His 1536 reforms axed many of the traditional Catholic feast days, and introduced days of fasting and “thanksgiving” instead. 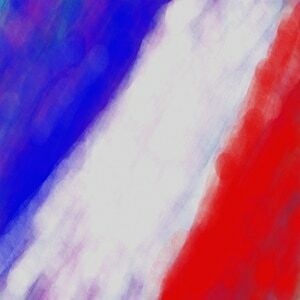 It was this holiday which the early settlers brought with them to America. According to traditional and historical USA facts, the first ever Thanksgiving was held in 1621 by the Pilgrims of Plymouth, Massachusetts, after a successful harvest. Their feast lasted for three days and, according to written accounts, 90 Native Americans were invited. The traditional Thanksgiving feast features a turkey, plus mashed and sweet potatoes and fall vegetables, often followed by pumpkin pie. It’s hard to discuss USA facts without mentioning the American movie industry. The USA may not have invented cinema, but from early on it came to dominate the industry. At the beginning of the 20th century, Thomas Edison’s patents on the Kinetoscope (a device for the exhibition of film) were making it difficult to film movies on the east coast. Companies headed west, and several studios set up in Los Angeles. The famous silent movie director, D.W. Griffith, was the first to film in Hollywood, in his 1910 film In Old California. Hollywood, of course, was to become the home of the American movie industry. By the 1920s, major studios had been set up by companies such as Paramount, Warner Bros and Columbia. The Golden Age of Hollywood is said to have taken place from around 1920 to 1960, and included many international films stars, such as Humphrey Bogart, Clark Gable, Katharine Hepburn, Fred Astaire, Marlon Brando, Audrey Hepburn, Elizabeth Taylor, Richard Burton, Marilyn Monroe and James Dean. Hollywood continues to make the world’s most successful and highly acclaimed films. 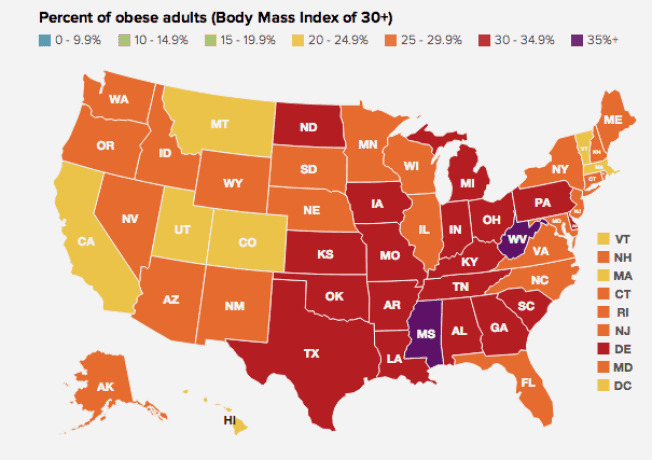 One of the more unfortunate USA facts is that the North American lifestyle often leads to significant health problems. The foods indigenous to the continent, and therefore the traditional American diet, can be healthy − including wholegrain cereals, squashes, pulses, vegetables, fruits, poultry and red meat. However, since the mid-20th century the USA has seen a great shift in the eating habits of ordinary people. After the First World War, fast food became extremely popular in the USA, since the increased use of vehicles made the drive-thru restaurant very convenient. This is one of the more surprising USA facts – we think of fast food as an invention of the 1950s, and indeed this is when it was widely popularized, but in fact the first American hamburger joint opened its doors in 1921. McDonald’s also started life earlier than the 1950s fast food boom, opening in 1940 as a barbecue restaurant, which the owners reorganized as a burger bar in 1948. Nowadays, McDonald’s is the world’s largest chain of hamburger fast food restaurants. There are USA facts about drug laws, and the conflicts surrounding them, spanning from the 1860s to the modern day. The 1906 Pure Food and Drug Act required that certain drugs were accurately labelled and sold on prescription – these included alcohol, cocaine, heroin, morphine, and cannabis! New regulations were introduced gradually throughout the century, most notably with the Prohibition Era, banning alcohol from 1920-33. It was not until President Nixon declared his “War on Drugs” in the 1970s, that legislation was passed to criminalize the possession of certain substances. Throughout the 70s, 80s and 90s, drugs came to be seen as immoral and dangerous. However, debate still rages about how best to organize and uphold drug laws, deal with drug addicts, and how to classify various drugs. In the states of Washington and Colorado, for example, cannabis was legalized once again in 2012. There are many fascinating USA facts. The United States of America is the third largest country in the world (by population). 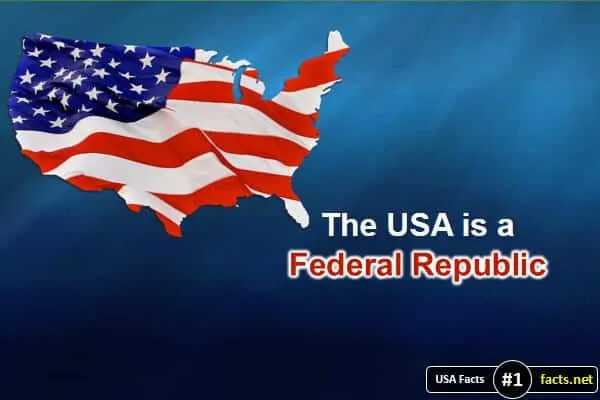 It is a federal republic made up of 50 states; 48 of these are contiguous, on the continent of North America, but Alaska and Hawaii are not physically connected to the rest of the states. The USA is an English speaking, majority Christian nation, although it is ethnically diverse and tolerant to the free practice of all religions. The continent of North America has an incredibly diverse geography, with very different climates in different parts of the country. Notable wildlife include bears, mountain lions, alligators, raccoons and snakes. Famous American food which has become popular throughout the rest of the world includes the hamburger and hot dog.